The Navy will commission its newest destroyer on Saturday, named in honor of Medal of Honor recipient Petty Officer 2nd Class Michael A. Monsoor. The Navy SEAL was posthumously awarded the Medal of Honor by President George W. Bush in 2008 for his actions in Ramadi, Iraq on Sept. 29, 2006. 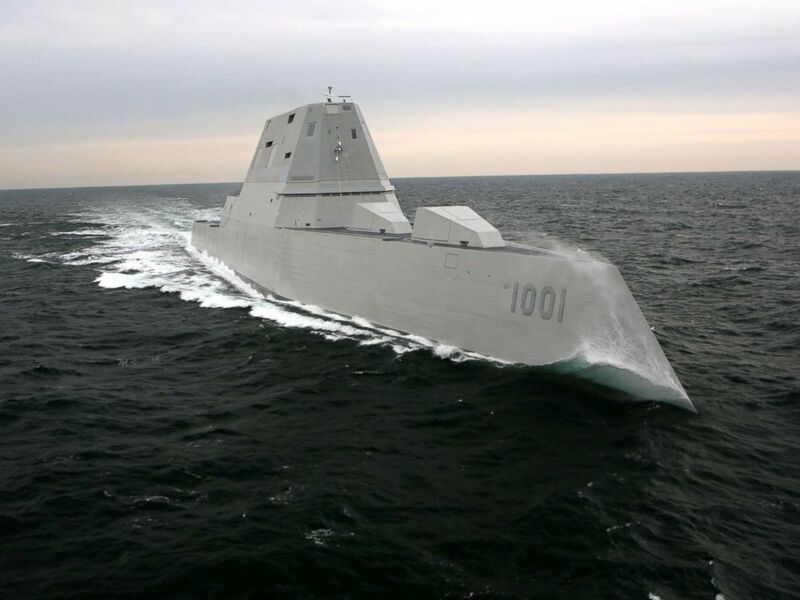 The USS Michael Monsoor, the Navy’s second Zumwalt-class destroyer, will be commissioned at Naval Air Station North Island in San Diego, where the ship will be based. With its distinct angular shape designed to give it stealth capabilities at sea, the Zumwalt-class is the Navy’s most technologically advanced and expensive destroyer ever built. The Navy will commission its newest destroyer, USS Michael Monsoor (DDG 1001), Saturday, Jan. 26 during a ceremony at Naval Air Station North Island, San Diego, California, where the ship will be homeported. In attendance on Saturday will be Monsoor’s mother, Sally Monsoor, who will also serve as the ship’s sponsor and give the first order to “man our ship and bring her to life,” the Navy said in a press release. Monsoor enlisted in the Navy in 2001, becoming a SEAL in 2004. On the day he was killed in Ramadi, he was part of a “sniper overwatch security position” with two other Navy SEALs and four Iraqi Army soldiers when an insurgent threw a grenade at the team, according to a Navy narrative of events. 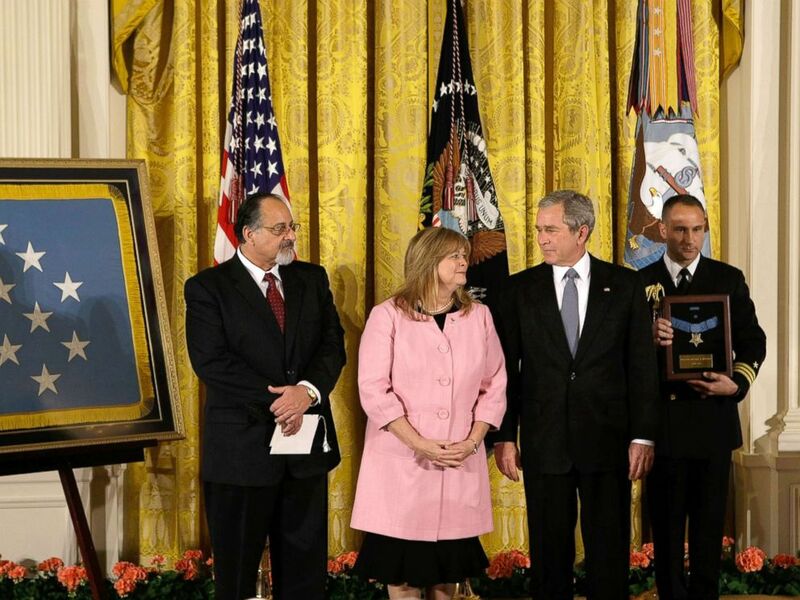 President George W. Bush shares a moment with Sally Monsoor and George Monsoor during a ceremony to receive the Medal of Honor on behalf of their son Petty Officer 2nd Class Michael Monsoor, April 8, 2008, at the White House. 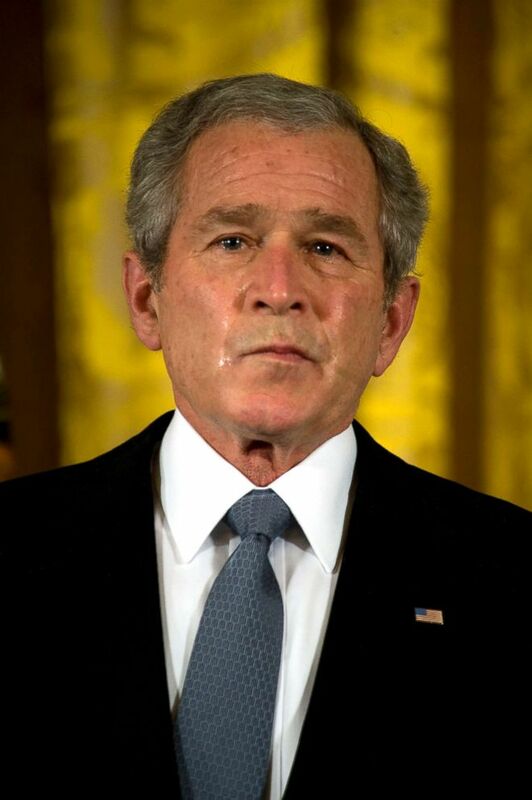 President George W. Bush weeps during a ceremony in the East Room of the White House before presenting the Medal of Honor to George and Sally Monsoor for the actions of their son during combat in Iraq. Lt. Cmdr. Jocko Willink, a former Navy SEAL task unit commander, in an interview with the Navy prior to the ship’s commissioning, said, “There is no way a steel and iron ship can ever replace the flesh and blood that was Michael Monsoor. But it seems there can be no more fitting memorial to him than a warship — a warship that proudly bears his name. The third ship of its kind — the future USS Lyndon B. Johnson — is expected to be christened in the spring of 2019, according to the Navy.